As Phase 1 construction of a multi-million-dollar expansion nears completion this fall, Harrah’s Ak-Chin Casino is planning a job fair in August to fill new positions. When: Aug. 10, 10 a.m.-6 p.m. Talent Specialist Jamie Westmiller said the facility will be hiring 50-75 people, about half of them full-time. “They will be mostly hospitality positions with a few security positions mixed in,” he said. Available positions include cooks, food servers, host/cashiers, housekeeping, facilities maintenance, restaurant supervisor and beverage supervisor. All positions have a 401K, Westmiller said. Full-time positions get heath care, dental and vision. Westmiller said Ak-Chin Indian Community members will get preference. Because the job fair will have on-site interviews and on-site hiring, potential applicants are asked to fill out an application online at www.caesars.com/harrahs-ak-chin before arriving at the job fair. And be prepared to turn on the charm. The current construction involves “basically everything to the north,” Livingston said. That includes a parking garage, 18,000-square-foot ballroom, expansion of the casino floor, expansion of the buffet into the space now occupied by The Range Steakhouse, dedicated Diamond Lounge, upstairs BINGO hall and other changes for office space. 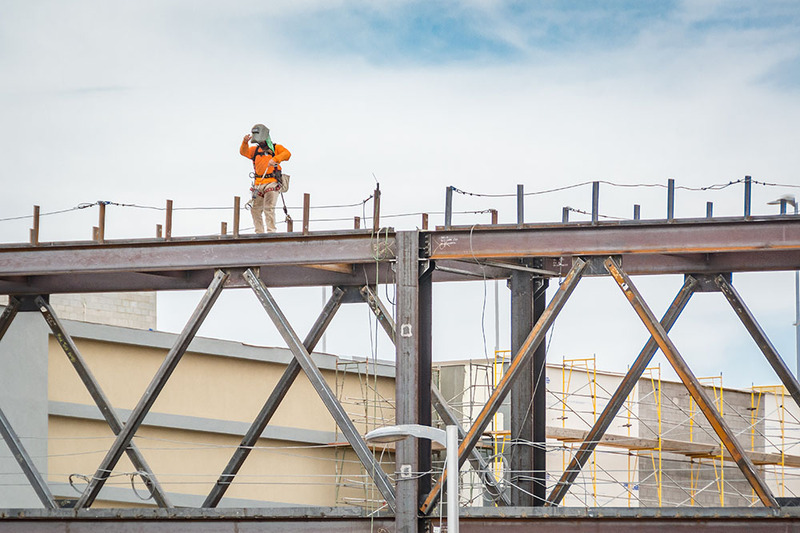 Separately but simultaneously, Ak-Chin Indian Community is constructing an elevated walkway linking the casino property to UltraStar Multi-tainment Center. Ak-Chin is working with Arizona Department of Transportation to move the traffic light north to Ak-Chin Parkway, to make that the main entry to the casino and hotel. Next year, Phase II will include the hotel tower that adds another 230 rooms to the 300 existing, a new restaurant called Chop Block & Brew and a spa and fitness center. Late in 2018 will be the beginning of the renovation of the pool and resort rooms around it. While the construction has been inconvenient or confusing for some long-time customers, Livingston said they’ve enjoyed the portholes cut into the temporary walkway walls that provide a view of the construction. Westmiller said a second job fair is planned later in the year.